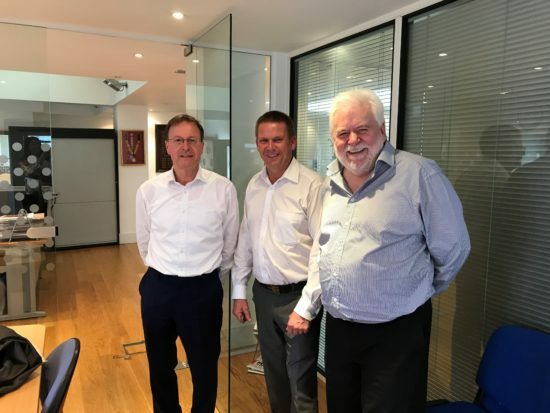 NASC was pleased to host a meeting with Graham Burke CEO of Scaffolding, Access & Rigging New Zealand (SARNZ) at their London office on Thursday 16 May 2017. Mr Burke was over in the UK for a family visit and took the opportunity to catch up with the NASC and discuss matters of mutual interest in the respective UK and NZ access and scaffolding industries. The NASC is held in high regard in New Zealand and Mr Burke was interested to find out what he could learn from an established trade body in the work at height sector. With around 100 members the New Zealand trade body is already making great strides. However administration and support is limited and Mr Burke is having to wear a number of hats as he tries to grow the organisation. Mr Burke previously ran a scaffolding business and was latterly President of SARNZ. Over the years he has made a tremendous contribution to the development of Australian/New Zealand scaffolding standards. He has also been extremely influential on other important initiatives including the development of good practice guidelines for scaffolding in New Zealand, industry training standards and lobbying on skilled scaffolder shortages. NASC Managing Director Robin James said: “The confederation is delighted to develop a relationship with SARNZ. We had an excellent meeting with Graham and discussed many areas of common interest and concern. Mr Burke departed with a selection of NASC literature and guidance, including a complimentary copy of the TG20:13 full suite (Good Practice Guidance for Tube & Fitting Scaffolding).